Major home appliances are usually some of the most dependable things in your life. People will often go years without having a washer or a refrigerator break down on them. At some point though the inevitable will happen, and you’ll need to hire an experienced local appliance repair Easley, SC company to perform the repair. Luckily, you’ve found Greenville Appliance Repair, the area’s most reliable Easley appliance repair servicer! Greenville Appliance Repair’s experience and professionalism are second-to-none. As longtime members of the local community, our goal is to help our customers quickly and affordably get their appliances back up and running with as little stress as possible. We service nearly all major brands and repair common home appliances including refrigerators, ovens, ranges, washers, dryers, dishwashers, ice makers, and more! Whether you have a gas dryer not heating or a built-in refrigerator not cooling, our appliance repair Easley experts are here to help. Don’t let yourself be fooled by an inexperienced amateur! There are plenty of cut-rate pretenders out there, so instead go with the leader in Easley, SC appliance repair service, Greenville Appliance Repair. Why Choose Greenville Appliance Repair Easley, SC? We guarantee competitive, honest pricing. With our honest, upfront pricing, you won’t have to worry about confusing repair bills or outrageous charges. 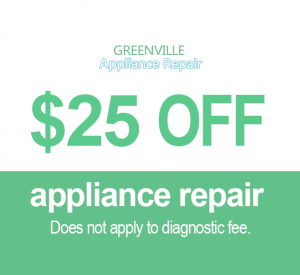 Our goal is to provide the best appliance repair in Easley at an affordable price. 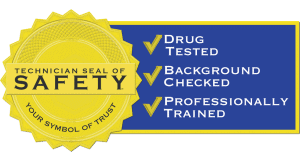 Our technicians are licensed for appliance repair in Easley. Our skilled appliance repair Easley technicians are licensed to work on all major brands of appliances. Most appliance repair Easley, SC service companies only work on a handful of brands. Not us though! At Greenville Appliance Repair, we provide Samsung repair, Maytag service, GE appliance repair in Easley, and everything in between. Our expert technicians can handle any appliance breakdown, failure, or malfunction. Has your Whirlpool refrigerator stopped making ice? Is your front-load LG washer leaking all over the laundry room floor? Call us now and let the appliance repair Easley professionals take care of the problem fast! When it comes to Easley appliance repair service, you need to know that the company you hire is competent, experienced, and can handle anything. Life can throw curveballs at you sometimes, and if your appliance starts doing something unusual, make sure you call the experts at Greenville Appliance Repair. Servicing cooking appliances like ranges and ovens is more difficult than you might imagine. Don’t let your electric GE range or Samsung convection oven be repaired by an inexperienced handyman. They might make the problem worse! Choose us instead, the most trusted appliance repair Easley service provider. A broken laundry appliance may not seem like a big deal, but just a few days without a washer or dryer is enough to remind you of their importance. We can help you avoid the laundromat! When your washer or dryer breaks down, call us right away for the premier appliance repair Easley service. We’re proud to provide the best Easley, SC appliance repair service available today. Our technicians offer quality service on any major home appliance. Whether you need Maytag, Samsung, GE, Kenmore appliance repair Easley, or for any other brand, we can help! Call us today or schedule your service online, and prepare to be treated like family. For more great appliance reviews, repair tips, local events, and much more, be sure to check out our Appliance Repair blog!